When transporting materials up an incline, a standard conveyor belt is not up to the challenge. Slippage and rollback are serious concerns when moving products such as manufactured goods, auto parts, and processed foods from one level to another. Incline conveyor systems are used across a range of industries when products must be moved at an upwards angle. Incline belting systems are designed to move products efficiently uphill without rollback or spillage. Incline conveyors are ideal for moving boxes, bags, and automotive parts from one location to another at a higher elevation. 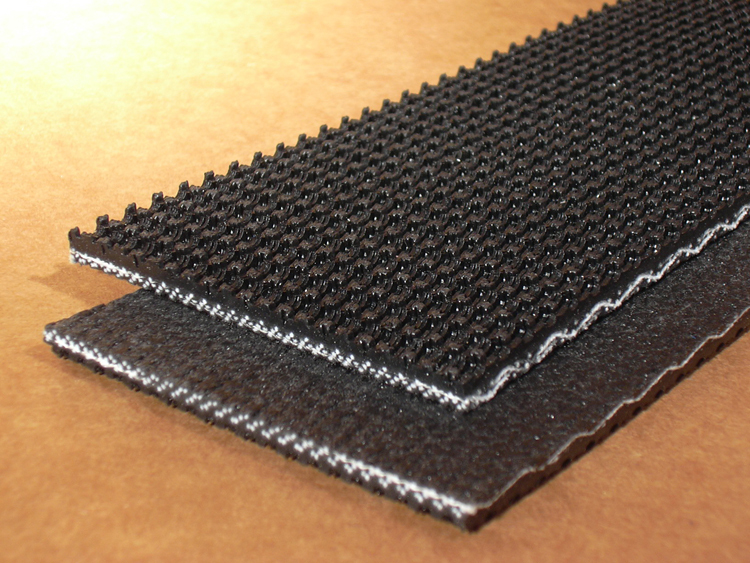 Belt Features: Prevents Rollback, Reduce Product Spillage, Flexible and Resists Wear & Stretching.